What if you could design your own yo-yo? What if you had influence over every measurement, feature, and detail? What if we took one of the largest yo-yo communities in the world and crowdsourced a yo-yo design? What would happen? Would the hive mind create something fantastic or create something unplayable? What if a yo-yo company gave the reigns to the crowd? I can just imagine Shawn and David sitting in a Eugene, Oregon burrito shop firing these questions back and forth at each other. One Drop has been a company defined by “outside the box” thinking from day one. The One Drop machine shop caters to the consumer looking for a specialized throw free from the feel of mass production, all the while still working to keep up with demand. The CODE 1 is the latest in creative thinking exercises from the Oregon duo. Community/One Drop Experiment #1. The entire creation story of the CODE 1 is such that my first impression was practically set for me before the yo-yo even got into my hands. There were really no secrets as the production of this yo-yo came to fruition. Every step, detail, and specification was public and voted on in a long project on YoYoNation.com by the forum members. Shawn and David took special attention to take every possible design element to poll. 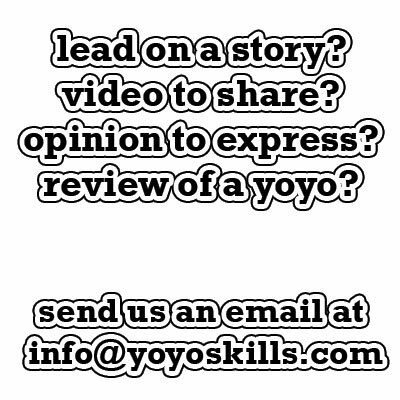 Slowly the yo-yo community over at YoYoNation.com turned their votes into yo-yo specifications, and eventually the CODE 1 was born. The CODE 1 comes in brown box not much bigger than the yo-yo itself. In the past, One Drop has used stickers on the box but this time they did something different. One Drop’s neighbor has a laser engraver and for the CODE 1 packaging, One Drop had the OD logo and yo-yo logo burned into the box. The effect is pretty cool. Out of the packaging, the CODE 1 has a great look. One Drop sent me a black anodized CODE 1 with Pyramatte finish. The black ano matched with the brightly polished Side Effects is a great look. 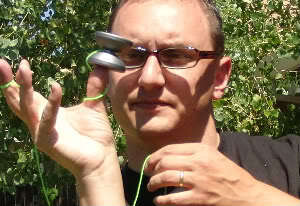 I was told the One Drop made these Side Effects specifically for this yo-yo to match the weight voted on by the polls. The One Drop logo cleverly sits in the “O” of the CODE 1 logo which is laser engraved right above the Side Effect. Like I said earlier, the community picked everything here. Holding the CODE 1 in your hand for the first time takes a bit getting used to. The h-shape catch zone is wide open and separates the ring, pointer, and middle fingers in a way that it feels like the ring and pointer are being pulled into the catch zone. Its not a big deal, but it took a a bit to find a comfortable hold position. The 56mm diameter is bigger than many of One Drop’s previous designs but is not that difficult to grab onto. This yo-yo definitely falls outside of their normal undersized category. The yo-yo starts from a flat rim and then turns down towards the gap. The catch zone then drops down before slowly swooping to the gap. This gives the CODE 1 a clearly defined h-shape. The wall falling from rim to gap is machined with One Drop’s signature grooves. With past yo-yo’s, these grooves were great for both feel and function, allowing long grind times without a rough bead-blast finish. While the grooves here on the CODE 1 will be great for finger grinds, arm grinds will rely on the Pyramatte finish. One Drop uses silicone Flow Groove pads for a response. The yo-yo can take flowable silicone also. One of the things I love about the One Drop Side Effects is that it changes the way the bearing contacts the yo-yo. On a traditional setup, the bearing sits in a post that is machined into the body of a yo-yo or sits on a spacer, but with Side Effects the post is part of the axle assemble. I don’t know the specific mechanical physics behind the why’s, but every Side Effect yo-yo I own is rock solid stable and free from any wobble or vibration. Wrapping up the gap specifications is a lightly treated 10 ball bearing. The outer cup of the yo-yo is where you can see the weight placement. Most of the weight on body of the CODE 1 is at the rim behind the inner ring groove. This tells me that the CODE 1 will offer a great number of different feels to it depending on which Side Effect the owner decides to use. The base weight of the Code1 is 60 grams. After the Side Effects that came stock and bearing, the yo-yo falls in at 64 grams. With the side effects ranging from .5 to 4 grams each, you have a really wide range of middle weight choices here. For simplicity, I will only be testing the yo-yo as it came to me. Just wow. No real surprise here, but just darn impressive. The CODE 1 has a light airy feel to it that changes between floaty and fast depending on what you throw at it. It seemed to float through hop and whip segments but when I wanted to push rolls and transfers, it had a pull to it. The best way I could describe it is with a swing set. When you push a kid on a swing, it takes some effort to get the swing started, but to maintain the rhythm you set you don’t need to push that hard. When the kid screams to go higher, you have to push harder but once there, it takes less energy less energy to keep the momentum going. That’s how the CODE 1 feels in repeating tricks like rolls. I know this is a common feeling but it feels more pronounced on the CODE 1. The h-shape catch zone makes a great target for landing and hitting trick segments and works well for string rejections. With the stock Side Effects, the CODE 1 has a good level of stability to it that won’t surprise you with sudden tilt. It is not hard to adjust the tilt manually and will generally stay where you put it. I found this yo-yo great for both front and side style tricks and better than average for 45 degree angled tricks. With almost zero kickback and a snappy bind, the CODE 1 feels really great on the string. It has this… personality to it that is best described as “encouraging”. It almost has a spirit to it daring you to push your trick level. I know this all sounds anecdotal and meta but this is not the first yo-yo I thought had a personality to it, and this one feels like it is rooting for you on every throw. The shape took a bit getting used to for grinds but was an easy adjustment. The catch zone is nice and open and won’t trap your knuckle as you work from finger grind to arm climb. The Inner Ring was also easy to hit thanks to a very open faced design. I have to be honest here. When One Drop first told me they were going to have the entire yo-yo designed by the community via polls, I was really concerned. The variables involved made the project what I considered a huge risk. What if the yo-yo was unplayable? What if the specs and shape matched another yo-yo? 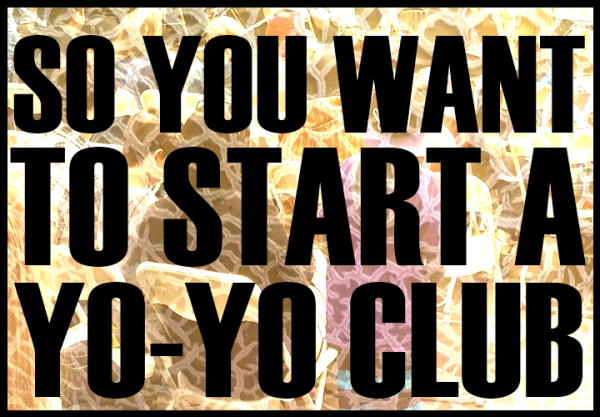 What if the yo-yo was dull and uninspiring? Since every step was voted on in the public, there was no room for error. Normally, If a yo-yo company tries out a new design idea and its crap, they just bury the project or go back to the drawing board. This keeps the entire thing in house. Here, if the CODE 1 ended up being crap, One Drop had already publicized the entire project and finished result before it could even get to a testing phase. Absolutely zero room for error. Let me now say this; YoYo Community, you nailed it. 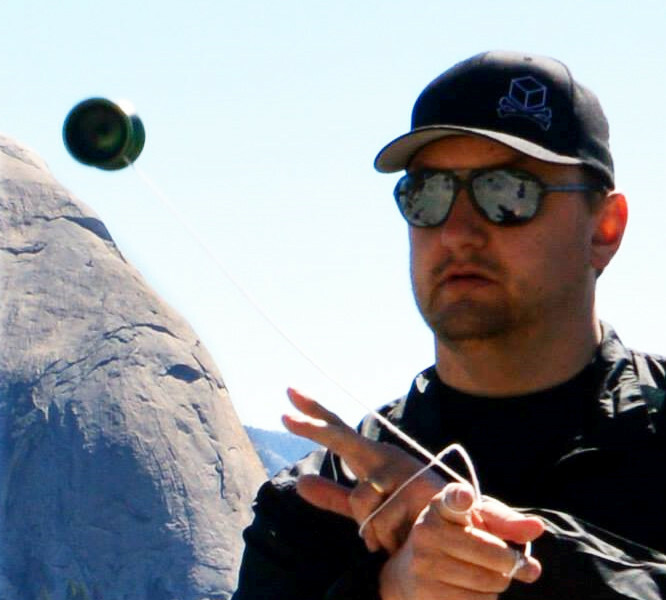 The CODE 1 is one of the better yo-yo’s I have ever had the pleasure to review and ranks in my personal top 5. The story behind the creation, the production, the results and follow through all make the CODE 1 a solid win in my book and a zero risk purchase for someone looking for something new and versatile. Between the flexibility of the Side Effects and the solid playability, the Code 1 can be adjusted to nearly everyone’s play-style. It has a different feel than any other yo-yo in my collection and in all truth and honesty, will be getting a lot of play time from me. Written by Chris “Dr. Yo-Yo” Allen who had a great National Yo-Yo Day. Thanks for asking. my code one was playing great, but now it is vibing quite a lot… this is just breaking in i hope? Just wanted to come back and say ‘I get it now’. The smaller companies really ARE small and they do their best to keep up with all of the demand for their products. Code1s are still in stock on several sites, so I’ll need to eat my words now. They taste like burning. Just wanted to ask, did you mean to say one a throw or was that a typo? Yeah this thing is awesome. I love how it’s on the lower end of the spectrum when it comes to weight in terms of full-sized throws, but still feels so solid. I had one tiny complaint at first and that’s when I first picked it up. H-shape is pretty extreme at first, until you throw it. First yo-yo in a while that I was totally blown away on the first throw. Definitely a keeper and should be in every collection. As someone who’s just getting back into yoyos, I have to say that this seems to be a bit overstated. For me, it’s been very surprising to constantly see ‘out of stock’ or ‘sold out’ beside so many of the top dollar/top quality makes and models. This seems especially true of a manufacturer like One Drop (current Code 1 stock levels aside). However, I’ve found the same issues with YYF even with their Chinese production capabilities. At any rate, thanks for the review. Given the demand for these things, it seems that I’ll need to buy now or never.